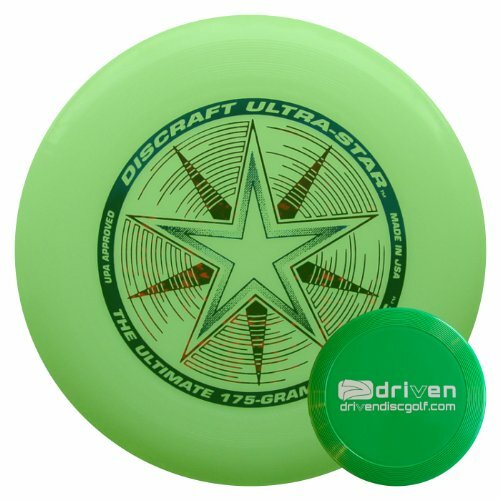 The Discraft Ultra Star is the world standard for the sport of Ultimate, and official disc of the USA Ultimate Championship Series since 1991. With its contoured grip and aerodynamic engineering, the Ultra-Star has set the standard for quality, consistency and performance. The Discraft Ultra Star sets the world standard for the sport of Ultimate. The official disc of the USA Ultimate Championship Series since 1991. A 175 gram tournament quality Ultimate disc designed for consistency and performance. This ultimate frisbee features a contoured grip and aerodynamic engineering. Also include a Driven mini flyer disc (mini flyer colors may vary). If you have any questions about this product by Driven Ultimate Discs, contact us by completing and submitting the form below. If you are looking for a specif part number, please include it with your message.